WASHINGTON—Saying they are now convinced the candidate is overwhelmingly qualified to lead the country, a majority of Americans have shifted their support to Sen. Bernie Sanders (I-VT) in the 2020 presidential race since learning he is a millionaire, a Pew Research Center poll found Wednesday. “I have my reservations about his policies, but if the guy’s a millionaire, he must know what he’s doing,” said Cleveland-area voter Glenn Mannix, 48, echoing the sentiments of 68% of the voting populace, who were reportedly impressed upon discovering the royalties Sanders has earned on sales of his books has pushed his net worth to seven figures. “Anyone who’s smart enough to make a million dollars has got to have some pretty great ideas about how to move our country in the right direction. You don’t get to be that rich and successful without having a really good head on your shoulders. 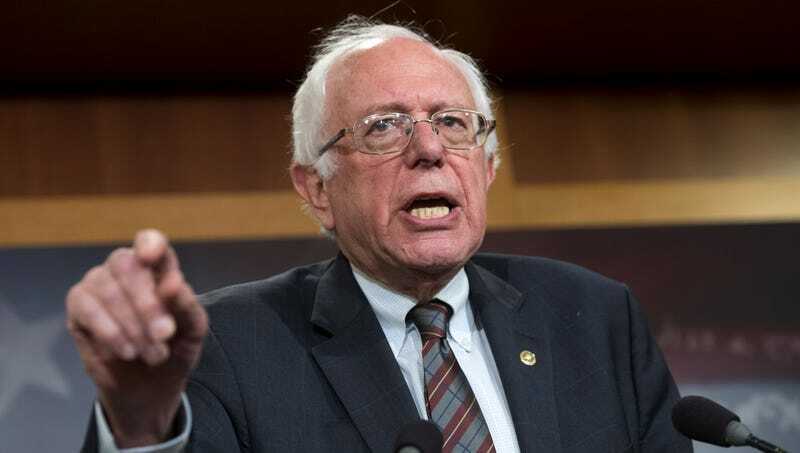 The man has my vote!” According to the poll, the remaining 32% of voters agree with all of Sanders’ policies, but said they cannot bring themselves to cast their ballot for someone who owns three homes.